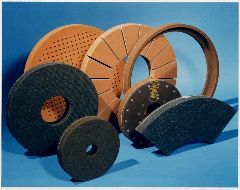 We have been in business since 1920 as specialist manufacturers of discs, segments and wheels for surface grinding. Our teams work in a way which is dedicated to the optimisation of your grinding process, providing not just a product, but also process understanding and expertise. Our success over the last 80 years has been based on excellent relations with customers all over the world in the following industries: Automotive Component, Bearing, Machine Knives, Spring, Steel and Foundry, Hand Tool , Cutlery and many more. Our aim is to be a pleasure to work with as colleagues and as suppliers. Our goal is continual improvement of every process with you, the customer, as our focus. We will work with you to reduce waste in every single process as an ongoing programme with a structured and constant approach. We will work with you within your process on a level which can afford you as many improvements as we are able to provide, based not only on considerable experience and understanding of the grinding process, but also by gaining insights from data provided by the latest technology. Our end product becomes a key component in your own process. 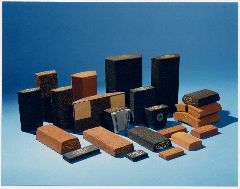 We supply a comprehensive range of Segment types, with grits and grades suited to your particular process. Our know-how in segments is complimented by our extensive range of Cylinder Wheels. 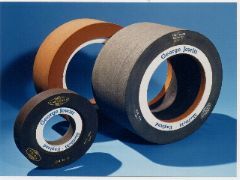 New developments in bonds and manufacturing techniques have recently broadened our range of Peripheral Wheels, which have benefited those who manufacture Machine Knives and Hand Tools. Our Centreless Wheels are renowned for cool cutting, even breakdown and extended dressing cycles Our Discs are some of the best on the market and can be mounted on either single-headed or duplex face grinders. The highest throughput rates can be achieved with our specifications; a fact which pleases our customers. Our expertise lies in the manufacture of Wheels, Segments and Discs for surface grinding. This enables us to identify your requirements accurately, manufacture your order promptly, duplicate product with minimum variation, deliver faster and price competitively. Specialisation has enabled us to devote all our research and manufacturing capabilities into the development of new resin bonded agents and abrasives. 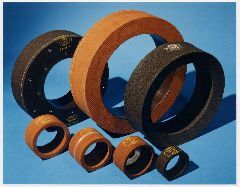 Our Z Bond is well known throughout the world for its heat and moisture resistance, which gives a consistent strength throughout the life of the abrasive and provides exceptionally cool cutting and even wearing properties. Through our Technical Representatives, we provide solutions that enhance and extend our customers' processes. They'll help to get the best results from your equipment. Our efficient manufacturing cycle allows us to deliver far quicker than other abrasive companies. We achieve this by using state of the art information services to support our advanced production facilities. We provide our customers with the process solutions they need.